Porsche is recalling 58,881 Macan crossovers worldwide for possible leaks in the low-pressure fuel line in the engine compartment. 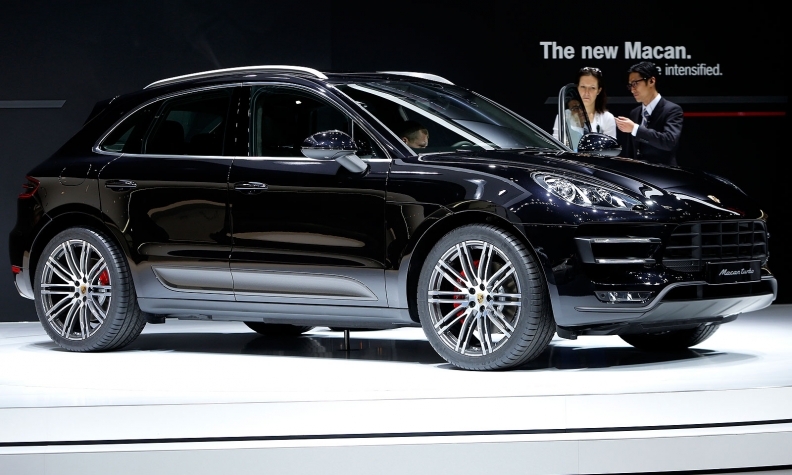 Porsche, owned by Volkswagen AG, said the recall covers the 2015-16 Macan S and Macan Turbo. “This is a purely precautionary measure, as there have been no reports of accidents or injuries as a result of this concern,” Porsche Cars North America said in a statement. Porsche said it identified the defect after investigating complaints from customers about a fuel smell, a problem that can stem from the leak, Porsche spokesman David Burkhalter said. It is unclear what other problems, if any, could arise. Burkhalter said it would be speculation to identify any other potential problems because no incidents have been associated with the defect. After discovering the defect, Porsche said it “immediately rectified” the problem at a plant in Leipzig, Germany, where the Macan is assembled. Porsche said 21,835 of the recalled crossovers are in the U.S. and 3,490 are in Canada. After being notified by Porsche, owners can take their vehicles to Porsche dealerships to have the problem fixed at no charge. The repair will take about an hour, Porsche said.